As Southwest Boulevard leaves Kansas and enters the western edge of Kansas City, MO, it will lead you to an amazing collection of Mexican restaurants all mashed in about a 2 mile stretch of road. Some might even say if you’re standing in the right place, you couldn’t swing a dead cat and not hit a Mexican place. While that might be a bit of a reach, there are certainly plenty to choose from. The one I want to focus on for now though is El Patrón Cocina & Bar. Located on SW Blvd., just under a mile north of the intersection of 7th St/Rainbow Blvd/Hwy 169 and SW Blvd, El Patrón, like most authentic Mexican places, has a nice variety of delicious ways to eat pork. While I had the pork tamale on my visit, you also have many other pork choices. 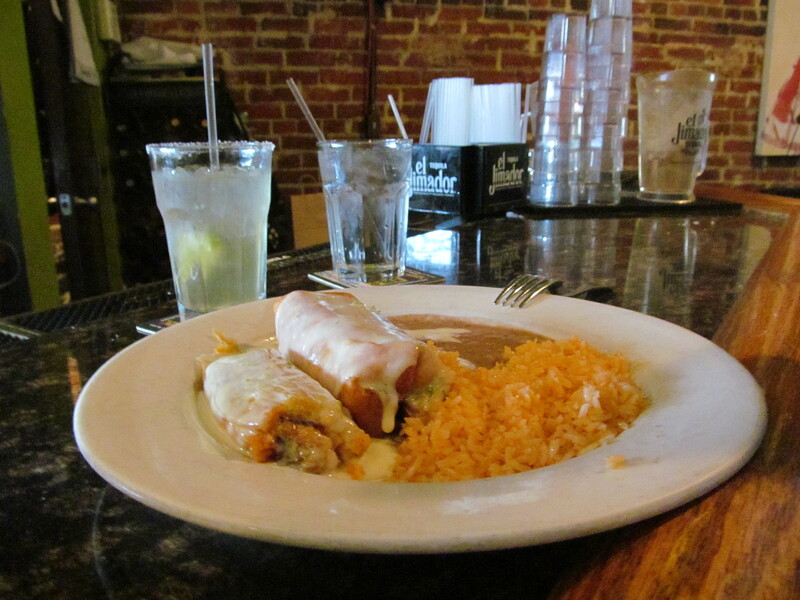 Besides tamales, you have the easy options to go with pork in your burrito or chimichanga. There are several pork options when it comes to tacos as well, such as “El Pastor” style tacos, and salsa verde tacos. If you’re in the mood for breakfast at noon, maybe try the eggs and Chorizo sausage. My best advice however is to just check out the menu, and see for yourself! Of course, no visit to a Mexican restaurant would be complete without trying a Margarita. I had heard rumors that El Patrón made the best Margarita in Kansas City, and the rumors proved to be fact based. I can’t say it’s the best, but I can’t think you’ll find one any better anywhere else. 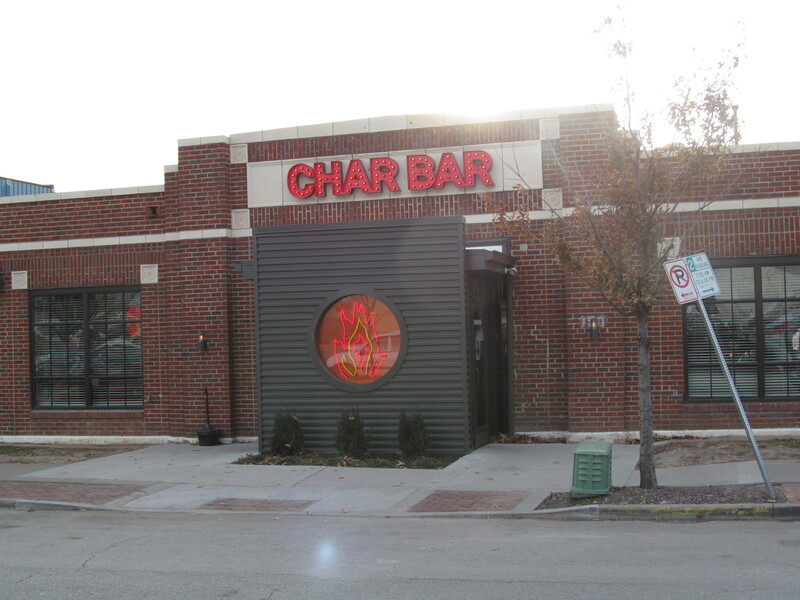 Char Bar is another choice in a string of newly-opened Kansas City Barbecue restaurants. And Like Slaps, Q39 and Plowboys, it is the creation of a former competition barbecue team. In this case the team was Meat Mitch and the award winning pitmaster associated with Char Bar is team captain Mitch Benjamin. 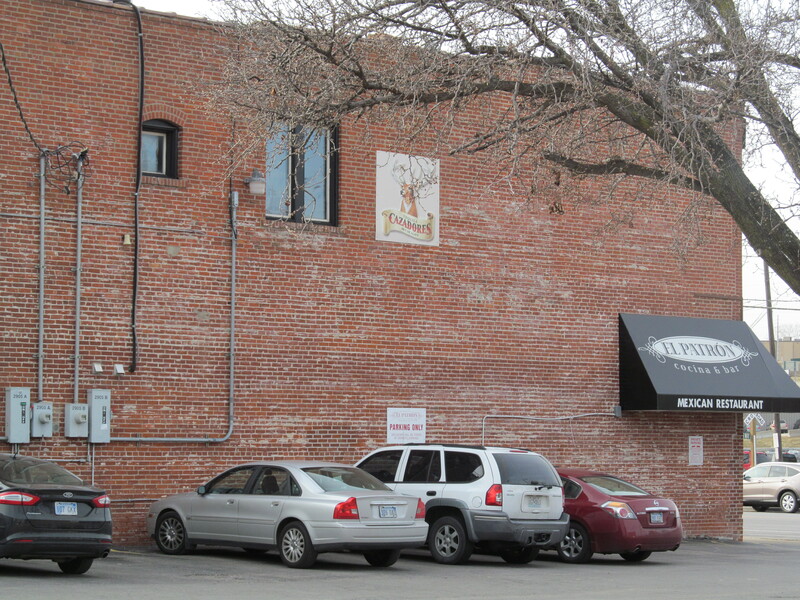 The Restaurant is located at 4050 Pennsylvania Avenue in Kansas City. Country music aficionados may recognize this location as it is the home of the former country dance hall The Beaumont Club. A search through the photographs on their website will bring up pictures of their transformation from dance hall to restaurant. 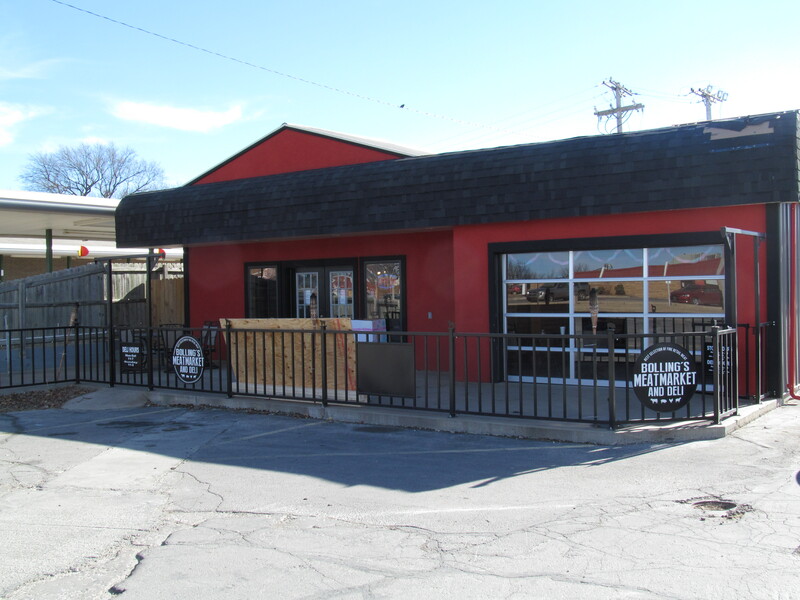 Their barbecue certainly puts them in the above average category and their house sauce is one of the best in Kansas City. They also have a sauce that reminds me of Arthur Bryant’s. The atmosphere of Char Bar reminds me quite a bit of Q39. I didn’t venture into any of the southern inspired dishes, but I did have the pork, was impressed by the drink options and will go back to this place again! I first heard about Bucks BBQ about four years ago when I asked the good folks at the Kansas Sampler Foundation to put the word out as to where I could get barbecue in Kansas. A few people mentioned Bucks BBQ and Steaks, located just outside the ranching community of Sedan. Sedan is located in a small but unique geographic region of the state known as the Chautauqua Hills. This area is a must-see for geography and geology buffs alike. Bucks BBQ offers a respite for travelers, as you will find rental cabins and an r.v. park located adjacent to the restaurant. 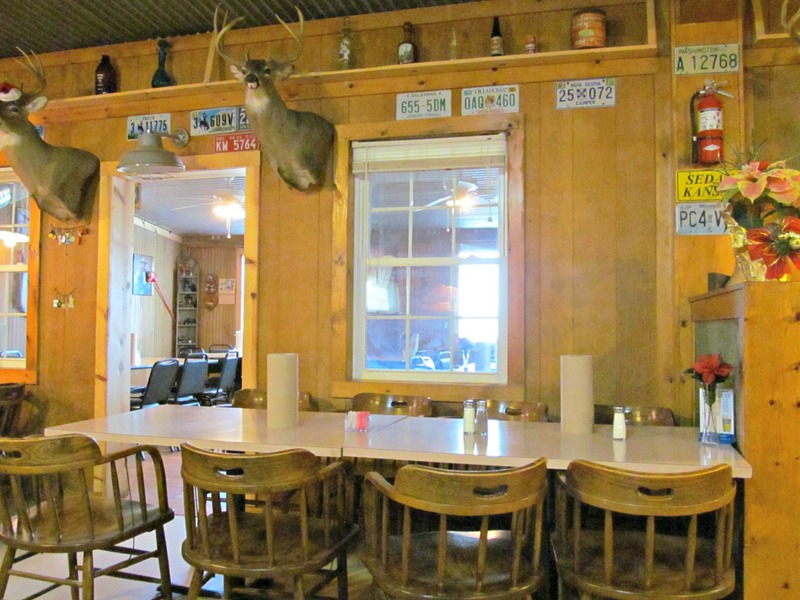 The restaurant offers a cozy cabin style atmosphere complete with deer heads and a fine license plate collection. My meal consisted of the three meat combo and two sides.The sides were certainly above average. I like to order combo platters when available because they give me the opportunity to try a larger variety of pork offerings. I was pleased to see bologna on the menu at Bucks BBQ. 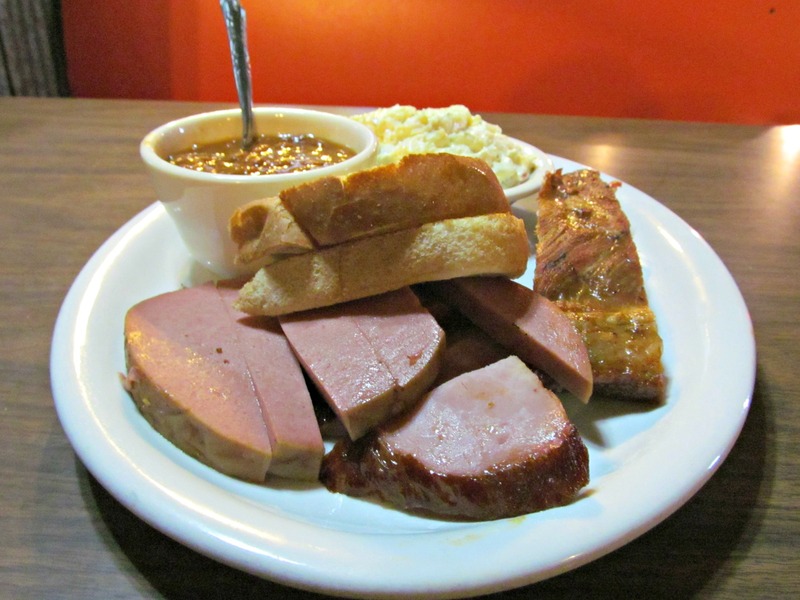 For more information about smoked bologna, see my blog entry about Phelp’s Hog Heaven in Coffeyville, Kansas. 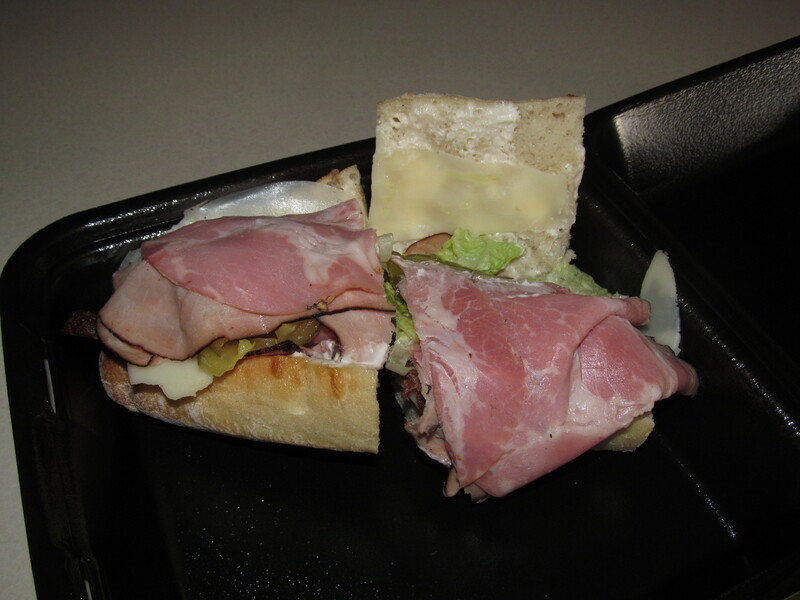 I was told that Bucks BBQ offers some fantastic pie, but I was too stuffed to try any. Next time I may go ahead and try the pie and then roll myself out the door and into one of the cabins!